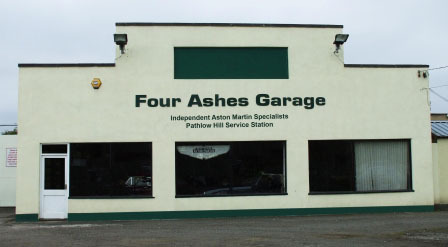 Based near Stratford-upon-Avon in the Heart of England, Chris & Jean Moss - Adams, as Four Ashes ®, are well known Independent Aston Martin Specialists, specialising in the service and restoration of Classic Post War Aston Martin's , and parts supplies for Classic Post War Aston Martin's and other Marques. We have been servicing, rebuilding, restoring, racing (including our own, very successfully) & selling Aston Martin cars for well over 50 years, Chris has nearly 45 years experience with the marque & Jean has over 50, a total of more than 95 years between the 2 of us. We can offer an extensive range of our own parts + Aston Martin Lagonda main dealer & Heritage parts, both of the latter sourced from our local dealers. We are an established business both well known and respected in Aston Martin, Classic Car and Historic Racing circles in the UK and Europe. Besides the full range of normal mechanical services you would expect we have an in-house first rate body / panel specialist and use a local first rate paintwork specialist, all dedicated to giving you the best possible workmanship. We are proud of the fact that we are one of the few Aston Martin specialists that can carry out more than 70% of any rebuild in house. Our Remanufactured Parts are being added all of the time, so keep an eye on our catalogue page regularly. We put descriptions on the page of new parts as they become available and also information on parts we will be selling in the near future. The Parts side bars shows pictures and descriptions of our standard range of parts. Dear Chris, I really appreciate you and Paul coming up to Sheffield at less than an hours notice yesterday, to fix the electrics on my Aston. I know that a lot of the work on the car has not been as straightforward as originally seemed and again I acknowledge your devotion and dedication to the task of making this the best DB2 on the road. 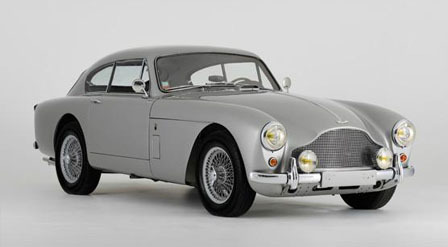 Hi Chris and Jean, I have just returned home after picking up my DB2/4 from you and I have to pass on my thanks for the work you have carried out to the suspension and brakes plus tuning of the engine. As you know this has been my first visit to your workshop - but it won't be the last! With much thanks to you both.